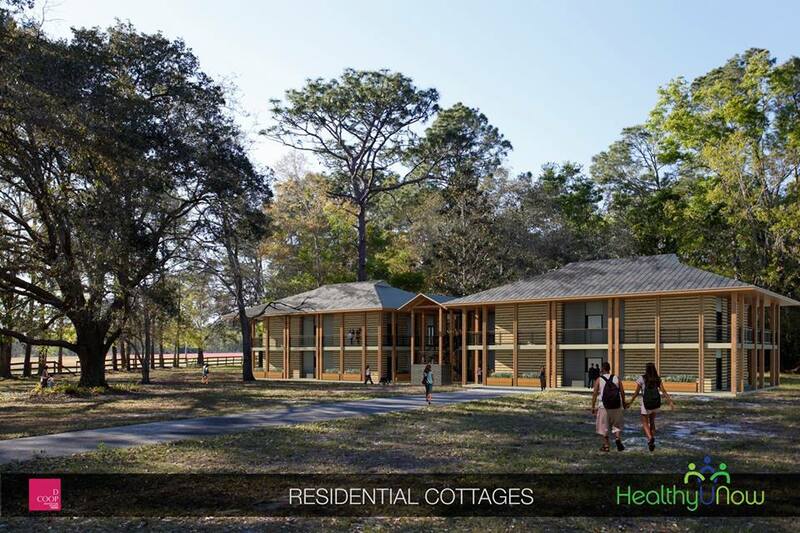 The purpose of the HealthyU Community is to develop one-stop healthy living care environments for autism families that result in peace, hope and healing. Bridging the seemingly enormous gap between the child with autism and the world in which they must live, HealthyU Communities will provide unique integrated wellness, educational and residential opportunities in areas where they live. Armed with the latest knowledge and experience, these communities will be better prepared and more successful in delivering positive outcomes customized to each family. The first center will be in Northeast Florida. 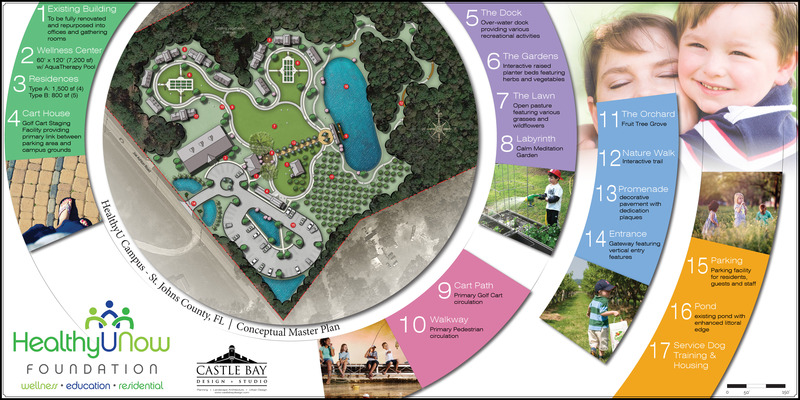 It will be comprised of a Wellness Center, a Residential Center and an Education Center, plus more amenities on the abundant acreage (see Conceptual Master Plan above). Site planning is complete, architectural renderings are done, county permits have been obtained. Phase I of the project is ready to go and is estimated to cost approximately $2 million. Phase I consists of all the infrastructure on the campus as well as at least one residential building. Please donate to the Campus building fund. What if there was a place for the entire family to get the help they needed when autism lives in the house? What if there was a place for families to be able to learn and share their wisdom about nutrition, diet, and nourishing themselves? What if there was a place that siblings could do homework or relax while a child with autism received therapy? What if there was a residential setting, both short and longer term, where GFCF, organic, and supplements were the norm and expected parts of health and healing? What if there was a place with therapy dogs, organic gardens, work/educational opportunities, and healthy living environments? 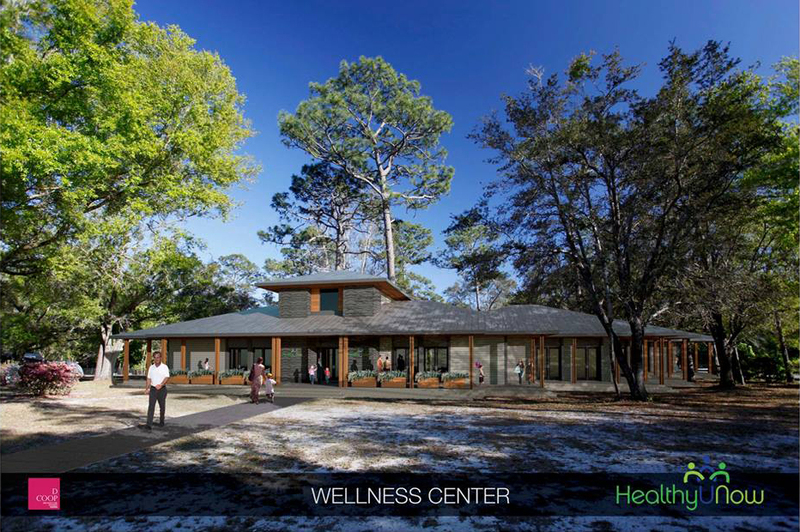 What if the community was welcomed to come in, participate, and be a part of this therapeutic center? What if we called it HealthyU Community? A place where children with autism and their families can learn, share and grow.